Honda took this consumer challenge literally, building a 100-foot LED halo (what we dubbed: the spaceship), and then taking it one step further to connect. Our dream cannons asked consumers to answer a few profiling questions, and take a selfie to pair you with a Honda product. Then, in a puff a smoke, the cannon would shoot your dreams onto the halo: picture, animation and all. 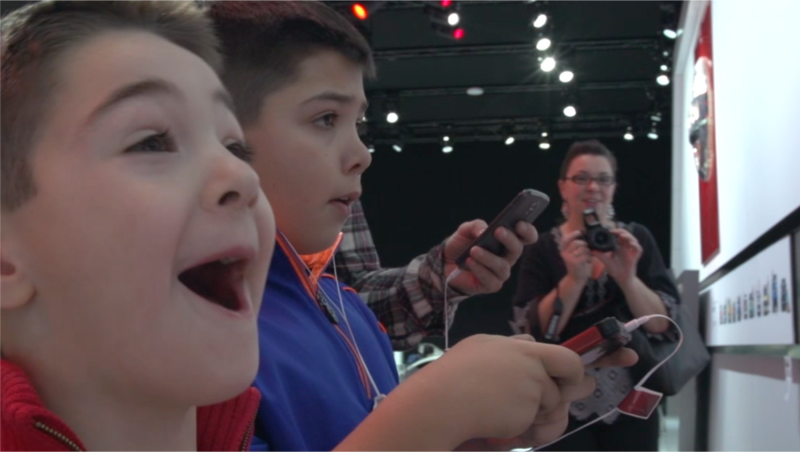 Year after year, one of the key reasons consumers return is because the auto shows are fun and entertaining. Which means that a critical consideration factor in the space design is how consumers with get to learn by playing. The Nissan GT-R racing game was a prime example of the power of play in action, challenging consumers to race one another using their mobile device. Detroit is where we pulled out all the stops. With the co-location of all 7 brands of FCA, there was a football-field-size space to create something really special. Cue a 60,000-foot technical wonderland: 10,000-feet of video surface, 32 discreet zones of audio projection, and 18 custom-designed LED light rings, all coming together to form a ‘Kinetic Canopy’ that moved light and sound above and between the brands like an energy field. A choreographed, 20-minute audio-visual journey showcased each brand in turn, leaving attendees speechless and putting the show back in the auto show.